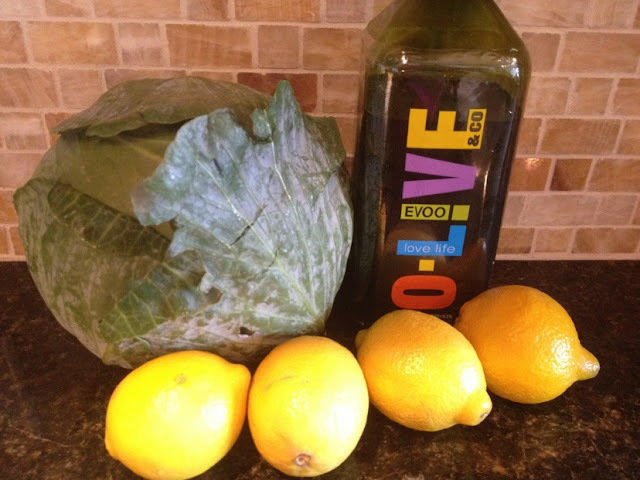 I am a huge cabbage fan but it is an acquired taste. I have been trying to convince my mom it is good but she still refuses to eat it. My grandma used to cook me boiled cabbage which was delicious but I think roasting is my new favorite way to cook it. 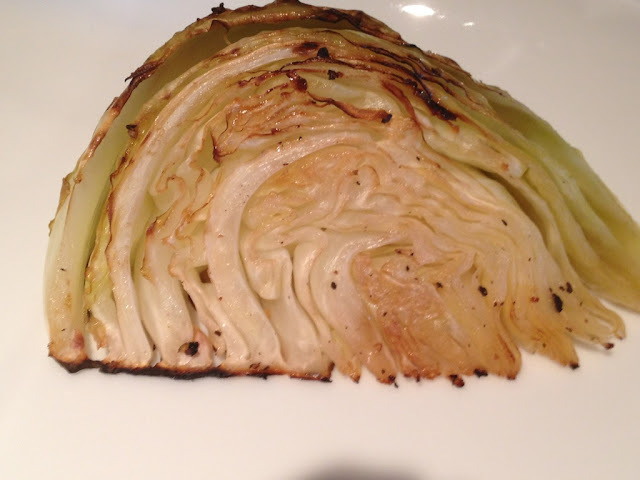 Boiled cabbage can be rather bland and you will find quite the opposite when you roast it! Preheat oven to 450 degrees. Spray a roasting pan with non-stick spray (PAM). 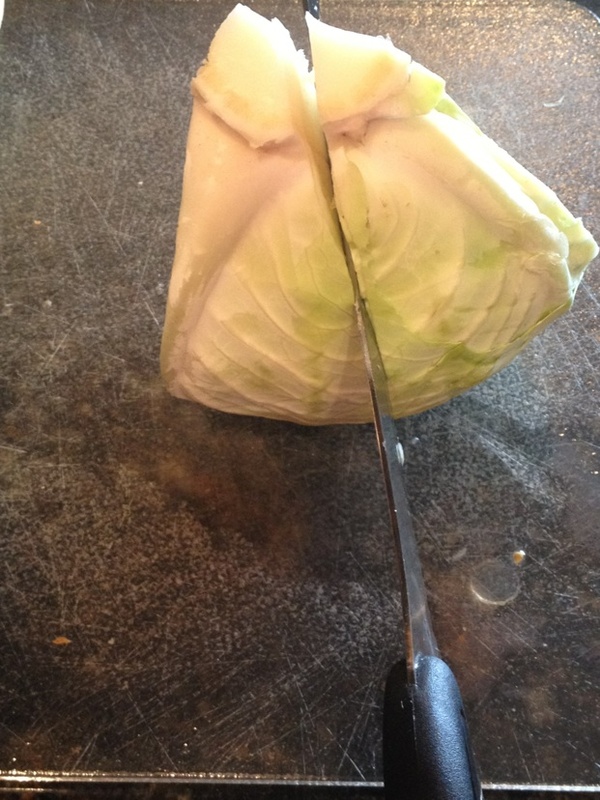 Cut the head of the cabbage into 8 same-size wedges, cutting through the core and stem end. Then cut each half into quarters. Then, cut eat 4th into 8th's, carefully trimming the core strip and stem from each wedge. Arrange wedges in a single layer on a roasting pan. Leave as much room as you can between the wedges. 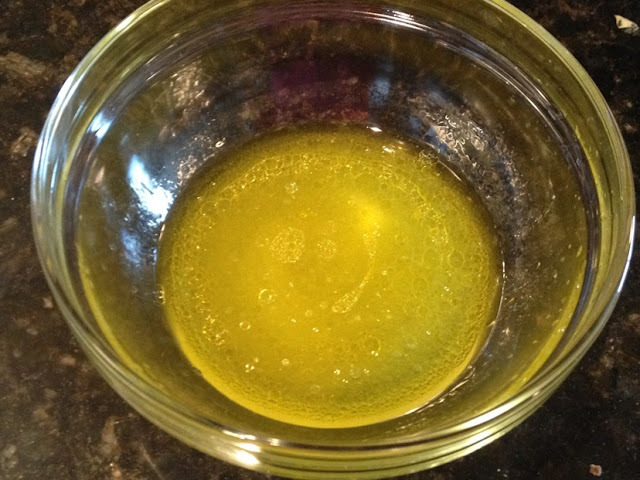 Whisk together the olive oil and lemon juice. 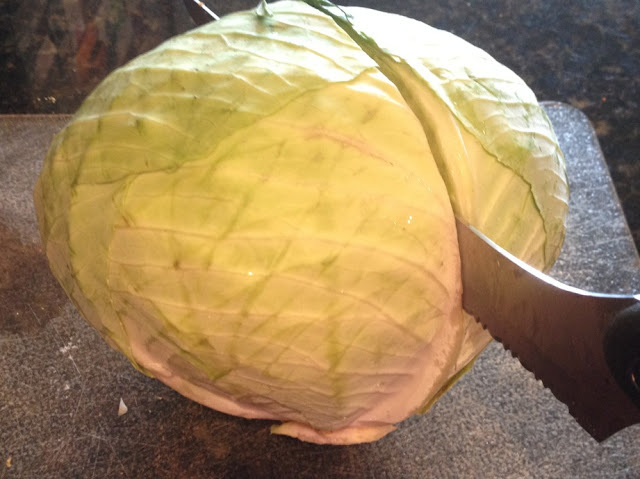 Use a pastry brush to brush each side of the cabbage with the mixture and season both sides with salt and pepper. Roast cabbage for about 15 minutes or until the side touching the pan is nicely browned. 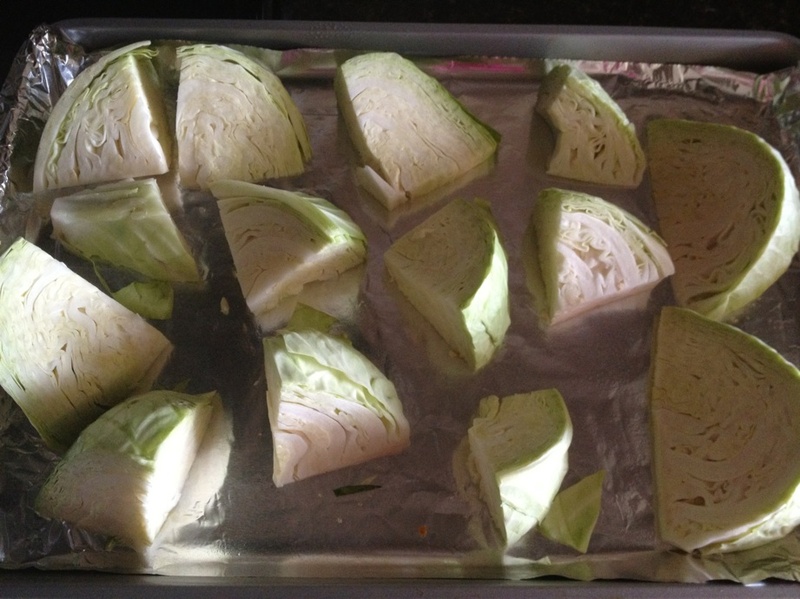 Then turn each wedge carefully and roast 10-15 minutes more, until the cabbage is nicely brown and cooked through with a bit of chewiness remaining.